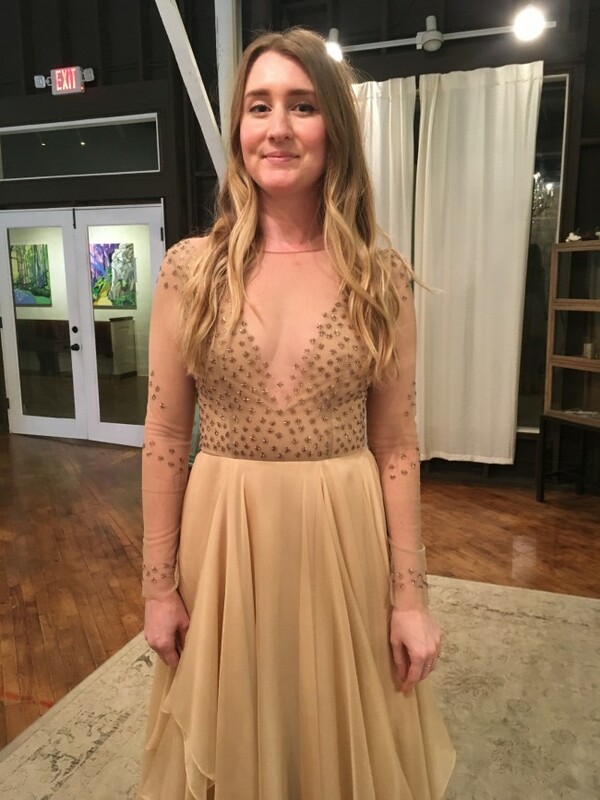 I found this dress at an upscale, wedding re-sell shop as it was originally custom designed for someone who decided to go a different direction. It is absolutely stunning, but I have also decided to wear something else on my day and so it once again needs to find a new bride! If you’re wanting to veer away from a traditional white dress, this beauty is the one! The beading is exquisite and has gorgeous layers on the bottom that have never been hemmed so you can adjust that to fit your height best. I’m so sad to let this beautiful dress go, but it deserves to be worn! Once you send a message, Colby can invite you to purchase the dress.